I mistakenly logged out and lost our connection. Sorry. THis form is not accurately skipping to the correct pages as set in the conditions fields. As I was saying when it was cut-off... Can you describe the specific condition that does not work? 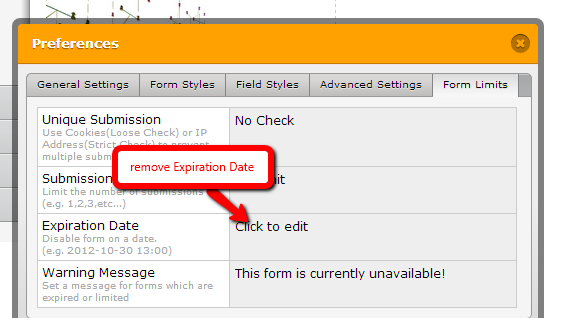 Also, you may need to remove the expiry date in the Form Limit settings. After hours of fiddling, I think I have it working. A duplicate of the form seemed to be functioning better so I ended up loading it instead. If you worked on this further can you let me know so that I am more thankful to you :) otherwise, I will think that it was something I did.